Motorola is at such stage where they’re playing catch up with brands like Xiaomi, Lenovo, Nokia, Coolpad, and couple newly entered smartphone brands in India. Why do they have to play catch up? Cuz Motorola has apparently lost its touch in the budget-friendly market. So, what is Motorola doing about it? Well, they are reported to come up with Moto E5, the successor to the Moto E4, which was a good overall package for the price it came. But nowadays there are handsets like Xiaomi Redmi 5A and Nokia 2 that completely overpowers the specifications offered by Moto E4. If Motorola wants to get back into the hands of budget-friendly smartphone users. They have to put extra efforts to make their ordinary phones extraordinary. Which is why Moto E5 is slated to be released at MWC 2018, and will eventually come to India. What are the highlights of Moto E5 specifications? > We might finally see a full metal unibody design on the Moto E family. While the Moto E4 came with aluminum body, it has some parts constructed with plastic. A full metal body device means it would be more durable than ever. > One major design change that is confirmed to come is the rear-fingerprint sensor. Moto handsets have usually seen fingerprint sensor placement on front. But if they eventually want to move to 18:9 aspect ratio display, they must replace front fingerprint sensor. > There is no confirmation yet regarding which processor Moto E5 would be sporting. Looking at the history, it could be MediaTek again. But it would be interesting to see a Qualcomm Snapdragon processor for a change. > Two RAM and storage variants would be introduced! One model with 2GB RAM and 16GB storage, second model with 3GB RAM and 32GB storage. This would allow Motorola users options to choose according to their requirements. > Camera department will see a major change in terms of aperture number from f/2.2 to f/2.0 on both rear and front lens. But unfortunately, the resolution might not change. > A significant improvement in a battery capacity is expected! From 2800 mAh to 3200mAh. Why should I wait for Moto E5 release in India? Cuz you are a loyal Motorola fan! If not, I don’t think any particular reason why you should wait for Moto E5 release. Unless Moto E5 price is cheaper than its competition in India. Like aggressively cheap! What is the expected Moto E5 price in India? Motorola has always priced its handsets quite competitively. 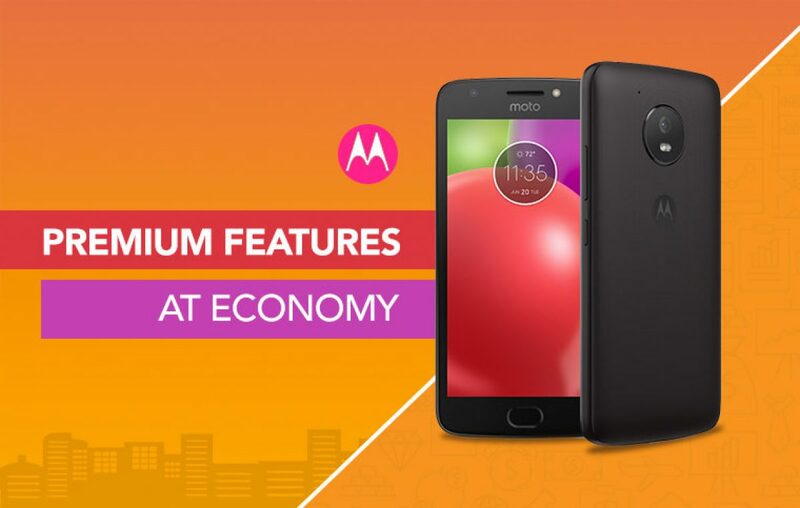 Whether you talk about their Moto G and Moto X series of handsets, or the economical Moto E family. It is believed that upcoming Moto E5 price would be around Rs 7,500. Which models would compete with Moto E5 in India? Motorola E5 is one of the most anticipated budget-friendly smartphones this year in India.